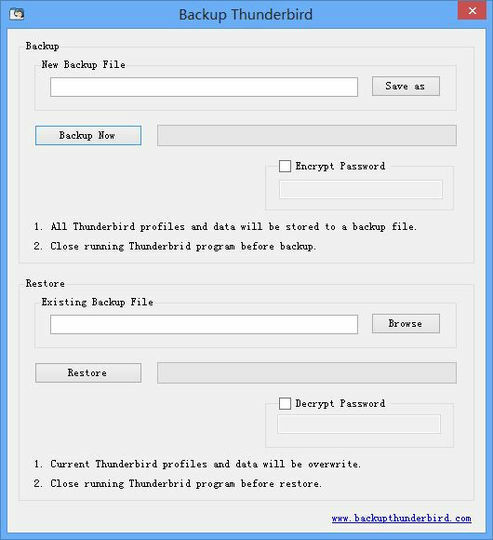 Backup Thunderbird is a freeware tool that can backup all of your Thunderbird data. It can be used to backup your e-mails, your newsgroups, rss feeds, address books and accounts. It is made to be as simple as possible to make a backup of Thunderbird data, and to restore backups. The software can even be set to encrypt your data, which you can unlock with a password you set.